Leaning to ride a bike is one of childhood’s great milestones, and we have found a very cool new bike to do it on. As I watch my almost six-year-old tootle around awkwardly on cumbersome training wheels, I can’t help but think she would have benefited immensely from starting out on a balance bike. 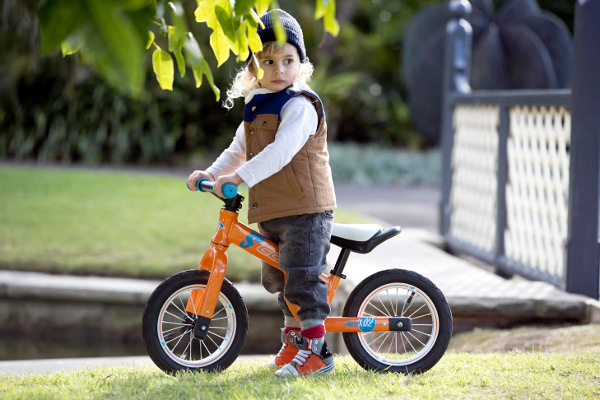 While balance bikes have been on the Australian market for a few years now, many of them are a bit on the heavy side, with wooden construction that means they need to be stored inside. 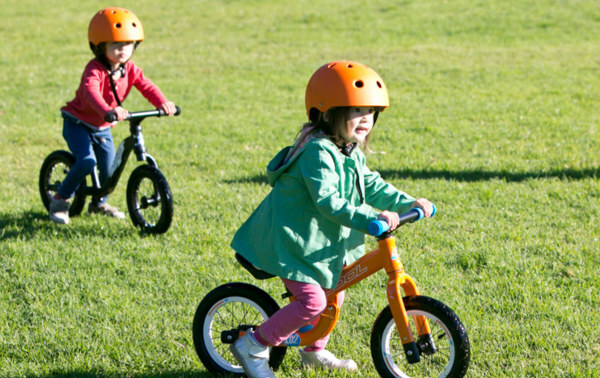 S’coolbikes have addressed these issues with their balance bike range. 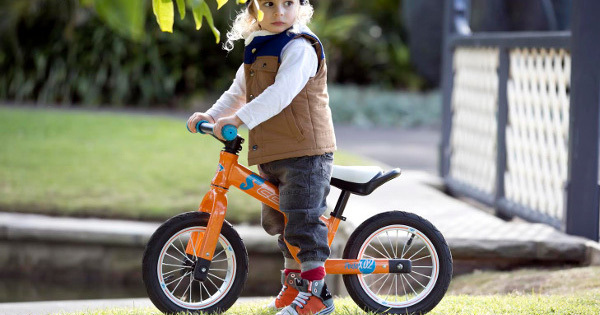 S’coolbikes currently have three balance bikes available in Australia. Perhaps the coolest of the three is the PedeX pirate. A matt black twelve inch bike emblazoned with a silver skull and crossbones at the front, a skull and crossbones seat and a skull and crossbones valve cap. Not only does the pirate look like the kind of mean riding machine your kids will love, it also has the engineering behind it to ensure that it is a smooth and comfortable ride, even for kids as young as 18 months. 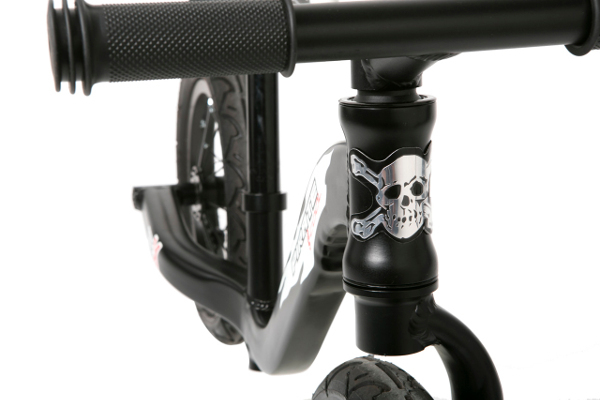 Designed in Germany, S’coolbikes also have models suitable to those kids less enamoured with the pirate theme. 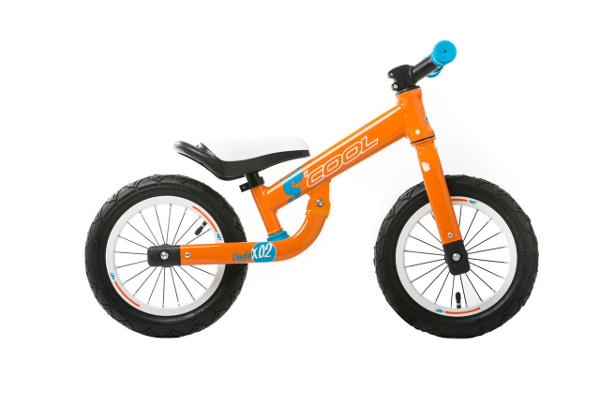 The PedeX 2 come in a very funky, unisex bright orange colour, and is especially designed for kids who like to take their bikes ‘off road’, ideal if your local park doesn’t have footpaths. The PedeX 2 also has a handle on the saddle to help with pushing your little learner along. The PedeX pirate retails for $259 and the PedeX 2 for $229 from S’coolbikes. Delivery Australia wide is a very reasonable $14 for the first bike and $4 for additional bikes.